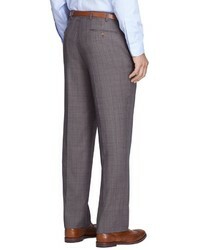 Pair a dark brown overcoat with Brooks Brothers brown plaid wool dress pants for a classic and refined silhouette. 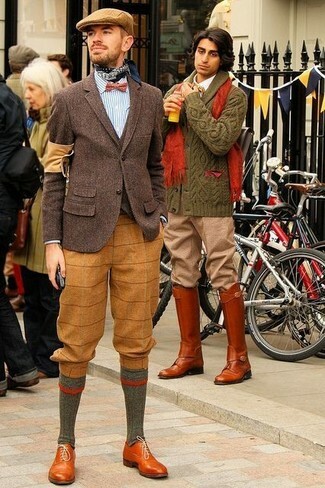 Throw in a pair of brown leather brogues to make the ensemble more current. 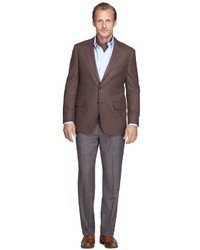 Go for a brown plaid wool blazer and Brooks Brothers brown plaid wool dress pants for a sharp, fashionable look. For a nothing less than incredibly stylish ensemble, pair a brown plaid wool blazer with Brooks Brothers brown plaid wool dress pants. 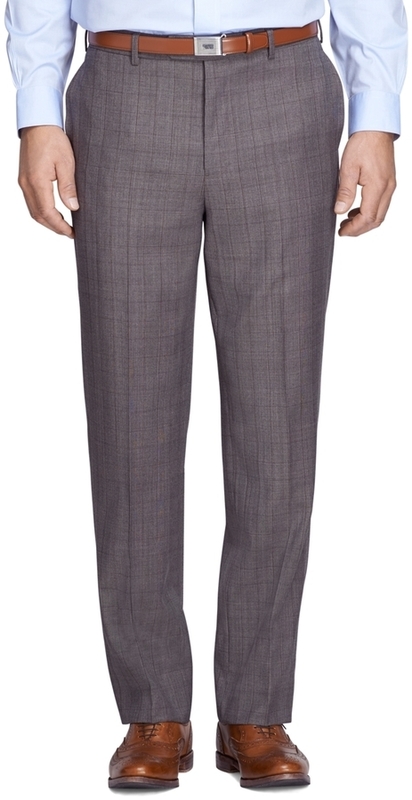 Pair a brown overcoat with Brooks Brothers Madison Fit Merino Wool Plaid Trousers for incredibly stylish attire. 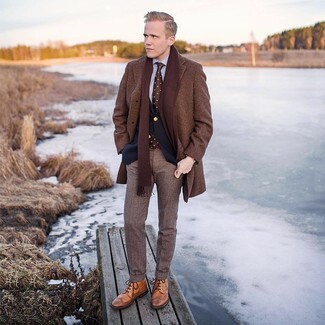 For something more on the daring side to round off this look, choose a pair of tan leather brogue boots. 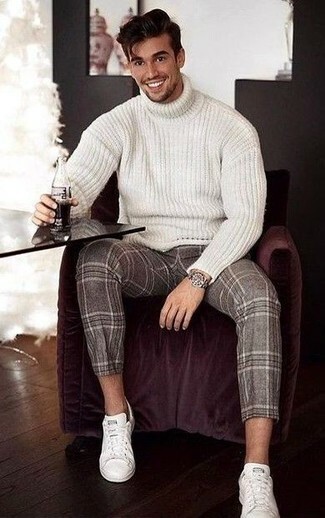 This pairing of a white knit wool turtleneck and Brooks Brothers Madison Fit Merino Wool Plaid Trousers from Brooks Brothers is super easy to throw together without a second thought, helping you look sharp and ready for anything without spending a ton of time rummaging through your closet. For something more on the daring side to round off this ensemble, throw in a pair of white leather low top sneakers. 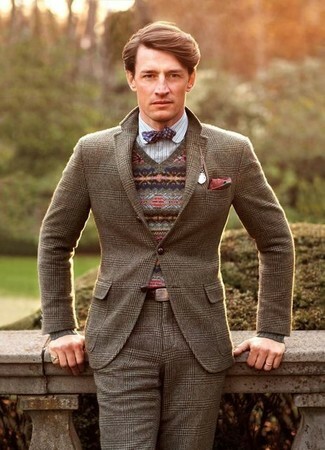 For a nothing less than incredibly stylish getup, wear a dark brown wool blazer with brown plaid wool dress pants. Channel your inner Ryan Gosling and make tobacco leather oxford shoes your footwear choice to class up your look. 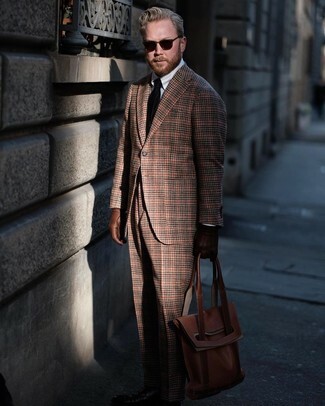 For a nothing less than incredibly stylish outfit, reach for a brown plaid wool blazer and brown plaid wool dress pants. Rocking a pair of tan leather oxford shoes is an easy way to add extra flair to your look.